The Day SPLM Dies is the ‘DAY’ our Country Will be Peaceful. “ The generations are not going to ask us what political parties were we in. They are going to ask what did you do about it, when you knew the glaciers were melting.” Martin Sheen. October 22, 2015 (Nyamilepedia)—-The rise of SPLM as liberation movement to oppose the evils of oppression and segregation associated with the then Sudan in 1983 had given hope that the erstwhile oppressed citizens of South Sudan were going to see the sunrise glow. Many had hoped that the successful detachment from the North in 2011 was the beginning of the restoration of the dignity of its people. Unfortunately it wasn’t to be. South Sudan has continued with the dark cloud of poverty, war, and despair hovering around its skies. It was just a change of hands. Having been born and raised outside Sudan/South Sudan, I have never been so aware of what SPLM/A was, until when I had the chance to study in one of the public universities in South Sudan. The three years I spent in that public University taught me a great deal of how worse SPLM can be. 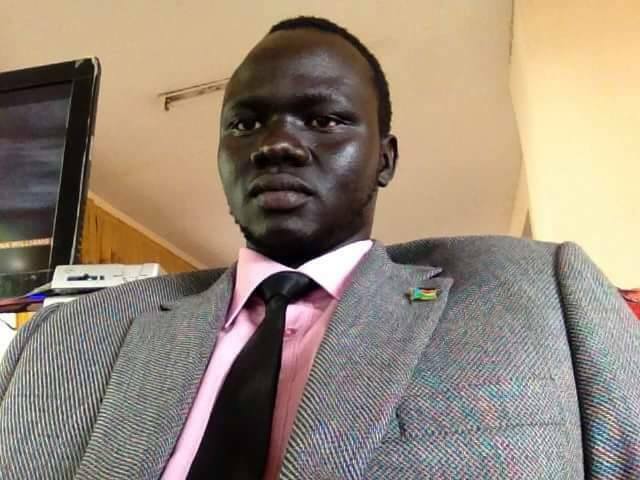 I am not trying to divest SPLM of its credits because even as much as I try to challenge SPLM, I must also confess that I studied under a government scholarship that was provided by SPLM. As I spent more years in that public university, one of the sardonic scenarios I had witnessed was the hiring and appointment of lecturers/professors to teach in the public universities. I have never seen anywhere in the world where professors are hired based on their political affiliation but rather on their merits and experiences. I remember our school going on two weeksstrike because there was a fall-out over the choice of Vice Chancellor between Omar Hassan el Bashir and SalvaKiir. Dr. Costa Lual who was the incoming Vice Chancellor and also the students’ favourite, was appointed by Omar. On the other hand the dislodged Vice Chancellor was Kiir’s favourite and wanted to reinstate him by all means possible. Because the SPLM’s ever ardous quest to gerrymander everything, Dr. Costa Lual was removed in less than two weeks in office and Dr. Telar Deng reinstated. The question anyone would ask is, why politicize an educational system? If Dr. Costa Lual can help transform the University as he displayed in his two weeks tenure by laying foundation stone for the students’sentertainment hall and purchasing of laptops for each of the teaching staffs, why cant he be allowed to run the University? Similarly a Senior lecturer who has taught in the University was denied promotion to a senior position in the faculty because he was a member of SPLM party. The fact that these schools are public universities should not be the reason for SPLM Party to use them as wrenches to extend their political ambits resulting in schools being reduced to vehicles for implementing political mandates. In the greater Akobo where I come from, less have been done in terms of infrastructure simply because politicians of SPLM party have denied other politicians from different parties the privilege to bring in development in default of protecting South Sudan. When Dr. RiekGaiKok was a personal assistant to president Bashir, he tried as much to inveigle the President’s party (PNU) by telling them that they should build Schools, Hospitals if they want the citizens of greater Akobo to vote for Unity in their favor. The PNU heeded to the advise of Dr RiekGai and pledged to build some school but sadly, the SPLM politicians could not allow that happen. It used to be said of the Nilotic Community in South Sudan that any thing that is given to the mother of a girl in the process of marriage as a gift is never to be refunded in case the marriage goes sour. This is the same case here. Any contribution made to the citizens in form of school/hospital would not have impacted negatively on the referendum vote because the citizens of South Sudan had decided fully come rain or sunshine that they were going to vote in favour of SEPARATION. That was just a display of egoism by SPLM politicians. I can remember how the people of South Sudan came out in large numbers, dressed in different attires to witness the raising of South Sudan flag on July 2011. There was an electric atmosphere. SPLM was celebrated with “Long Live SPLM!” by the small and the great shouting on top of their voices. An old man standing next to me that day got hit by Sun, the rolled the whites of his eyes skywards, gracefully fainted and was passed out over people’s heads in the crucifix position, like a fan at a rock concert. I wondered how long it would be before I followed him. People were keeling over left, right and centre, ambulances crews plunging bravely into the throng to remove the wilting bodies. Finally the president was on the podium and gave his speech. The speech was full of promises; 100 schools in 100 days, Hospitals, fighting corruption and many others. The people of South Sudan were so optimistic that much was going to be delivered by the SPLM party. But over the years their threat has been their failure to deliver as they had promised. There has never been any sign of fighting corruption and as a result there has not been any new changes both in the party and as a result in government. 75 letters were sent to different individuals but none ever appeared in the court of law to prove his guilt or innocence. All was just talk with no action. It appears that SPLM party’s greatest asset is that it fought for the country. They camped on that knowledge and have not moved.They failed to transform the lives of the people more because they have a tendency of running from their shadows. They see conspiracy even in their own ideas. This has resulted in failure to implement even their own long sang song of ‘taking towns to the people’. Many blueprints sadly never saw the light of day. With the kind of experience under this party, I have applied my critical thinking and arrived at the conclusion that the real enemy of this movement is right in their own midst and until they fight this enemy, South Sudan will never be stable. If those affected accept the ruling by Mr. Chairman and form their own party, this will act as hygiene to the opposition that has been led down by voracious politicians like Dr. Martin EliaLomoroand hence creating a strong check and balance. The dismissal of important cadres of the movement as planned for in the National Convention, would serve as the beginning of the demise of SPLM as party that has long been the reason for South Sudan sufferings. One thing that SPLM leaders do not know is that the greatest leverage that any party has is the people herein the citizens of South Sudan. The greatest threat that the SPLM have today comes from the failure to meet the reasonable expectations of the people and the failure to adapt to changing circumstances. That, to me, is the number one enemy of this liberation movement. Anything else, including the struggle for leadership among its members only rides on this undeclared enemy. If we look far away from home, parties like ZANU-PFin Zimbabwe, the days of KANU in Kenya and the ANC in South Africa, the same arguments broadly apply to all these liberation movements across Africa. They have so far failed to bring about the joywhich people expected.The demise of KANU from Kenya political scene is the reason there is partial democracy in the Kenya Politics today. The same must happen in South Sudan. If SPLM want to continue to rule, it has to put its house in order and listen to the people’s demands. These will ensure their perpetual existence. They must know that the people of South Sudan fought together for them to be free from Arab oppressions irrespective of their political parties.The reality that SPLM championed the struggle doesn’t mean other South Sudanese in different parties never contributed. Current SPLM leaders (whether with Juba-gov’t or with SPLM-IO) must know that they found their sustenance to continued with the struggle in the people and cannot continue to suppress the lives of thevery people that help them. One party politics cannot be the reason for South Sudanese to shed bloods from time to time. If they continue to take the people for granted then South Sudanese must rise and say Enough is Enough!! ← The True Salva Kiir Is Being Discovered By The Whole World – That He Is A Real Dictator! While the men and women are growing in thoughts, I only hope for the best to see many of them soon. SPLM is a problem and will always be a problem until men who have a heart for tomorrow will be able to stand up and said enough is enough. You are absolutely right economist, south sudan will only rejoice and feel free when Splm perish in the republic of South sudan once and for all. Splm is a curse to the people of south sudan and therefore, it should be buried for the betterment of our country. It will take long for the Splm party to change and be changed by any other party in country because the leaders and people in general don’t know what they are doing for country. We may point our fingers to Splm party but we didn’t do enough for the change. What I know is a Tribal parties which are operating in our country that why the Splm party wouldn’t do enough to deliver the services to the people. It is good express your opinion but it will make no change my brother and like your analysis on this topic.